The Aston Martin DB6 is one of the sexiest Astons ever made. And in most cases, a drop-top Aston Martin is always more drool-inducing than their closed-roof counterparts. This car is no exception. Prior convertibles were just that, convertibles. With the introduction of the DB6 in 1965, the term Volante was used to describe a rag top Aston and let’s be honest, it’s a fine, exotic-sounding word. The DB6 is a wonderful GT too, a true four-seater. It is powered by a 4.0-liter straight-six making 282 horsepower. The DB6 would remain in production through 1970 – into the 1971 model year – with a total of 1,575 hard tops produced. The Volante was much rarer – only 178 built with this car being a Mark I, signifying it was built before the summer of 1969, when the Mark II was introduced. This is a 58,000 mile car with recent service history that is ready for the road. It should bring between $1,000,000-$1,100,000. Click here for more info and here for more from this sale. 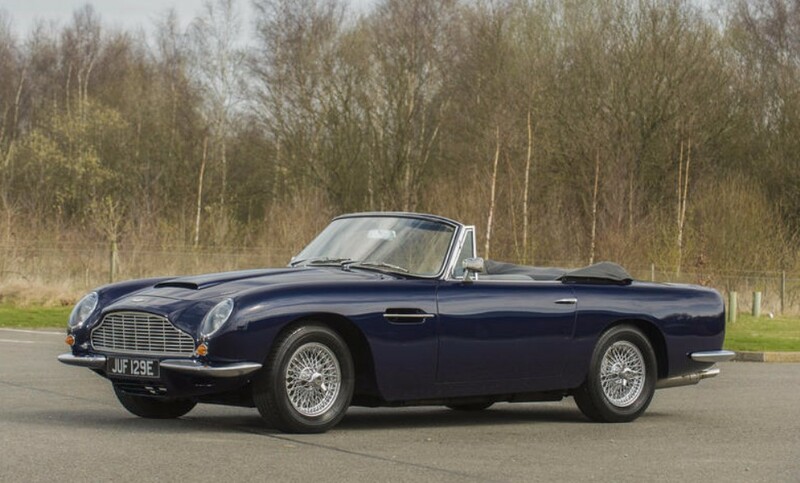 This entry was posted in Uncategorized and tagged 1967, aston martin, auctions, Bonhams, cars, classic cars, db6, mk i, volante by classiccarweekly. Bookmark the permalink.